The ISFP personality type is also referred to as an Artisan. These specific types are unique in their ability to possess quite and kind traits but maintain a bold and adventurous style. ISFP’s are also rated as being the least likely to leave their job, however posses the lowest income of all other types. This leads them into their main dissatisfer of lacking promotions, salary, and job security. Emotional stress and exhaustion combined with a lack of personalization can send ISFP’s to the burnout table. Here is a variety of famous people that have been associated to the ISFP personality traits. A special thanks to CelebrityTypes.com for listing out some great famous ISFPs. Ever wonder what makes you want to choose the type of coffee you drink? 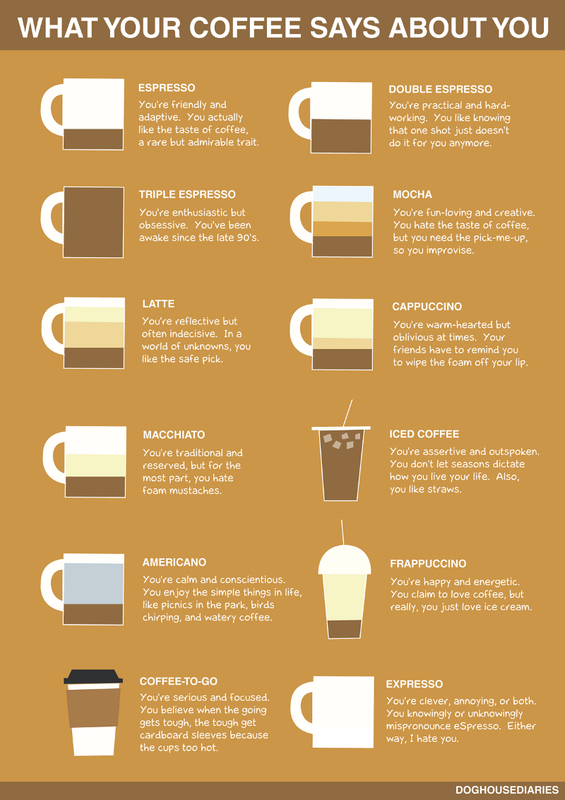 The below infographic takes a look at the different type of personality traits associated with the coffee you drink.